Provident Green Park provide Super luxurious residential apartments at prime location in Selvapuram, Coimbatore. 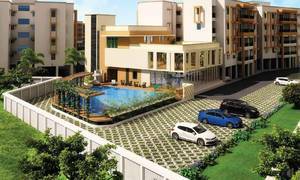 This project are made by well-known Purvankara Developers, and they offers luxury 1,2,3 BHK residential Apatments at affordable prices. This project is a grand township development they have a peaceful atmosphere and is surrounded by premium luxury and comfort. Total land area or this project is over 9 acres. Project Share Closed Proximity International Airport, Coimbatore Railway Station, Ukkadam Bus Stand, Brookfield Mall, Gandhipuram.Project provide World class amenities like Gym, Swimming Pool, Club House, Landscape Garden/Park, 24 Hour Water Supply, Basketball Court, Kids Play Area, Sports Facility, Lift, Convenience Stores and many more.